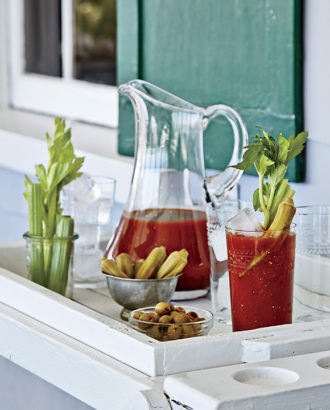 As author David DiBenedetto so aptly notes, when it comes to Bloody Mary culture in the South, “true connoisseurs make their own mixes, some with recipes as closely guarded as the family silver.” In the upcoming The Southerner’s Cookbook: Recipes, Wisdom, and Stories, (out 10/27), Donald Link, executive chef and co-owner of Cochon in New Orleans shares his Cochon Bloody Mary recipe. It relies heavily on some unmistakably Southern ingredients that add to the drink’s savory depths. Mix up a pitcher for this weekend’s brunch. Combine all the ingredients except the vodka in a pitcher and stir to combine. The mixture can be made ahead of time and kept in a sealed pitcher for up to 1 week. To serve: Fill a glass with ice. Add about 2 ounces vodka. Fill with Bloody Mary mix. Stir, garnish with pickled okra and a stalk of celery, and serve. 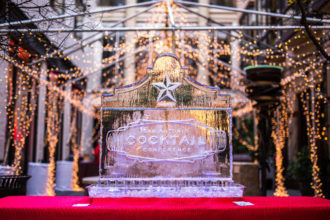 Returning for its fifth year, this year’s San Antonio Cocktail Conference promises another solid lineup of seminars, events and networking opportunities this Jan. 14-17, 2016.